We continue to publish interesting furniture mods and this time you will get 27 cool items for your house! 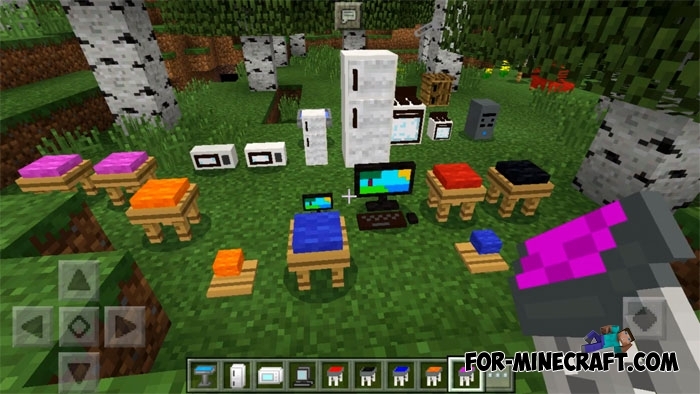 A set of chairs and tables, furniture for the kitchen and bedrooms, a computer and an animated fan and much more was added to the Master's Furniture mod. 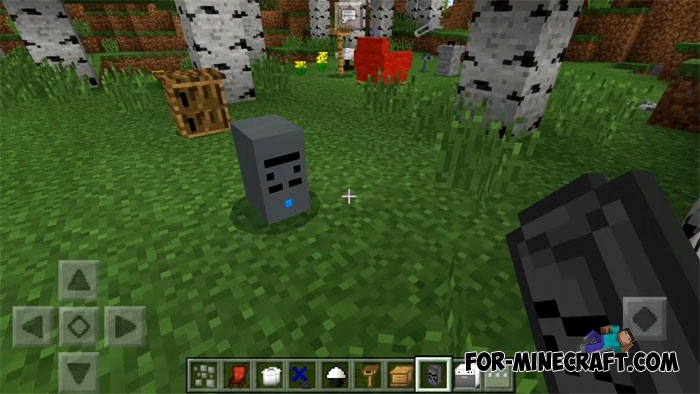 All items have a model of mobs so you can see their names and also a reduced version of the object in some cases. 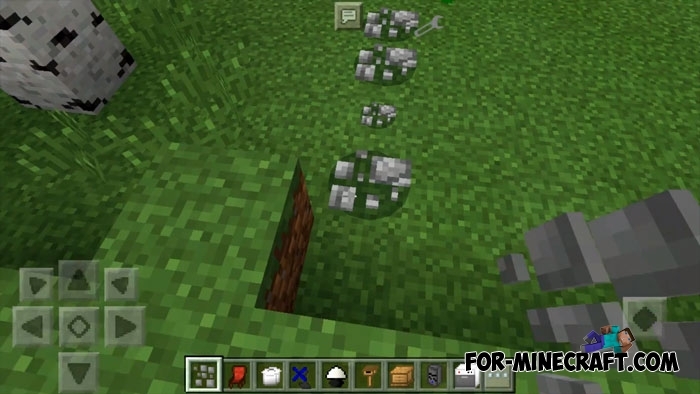 Added support for Minecraft PE 1.2.5. Install the mod using BL 1.17 or later versions. How to get the furniture? Open the creative inventory, go to the weapons section and scroll to the bottom. All items have a custom name and a defining icon. In cases where you put furniture in the wrong place, you can always break it. Below is a list with all the objects that are in the Master's Furniture mod. 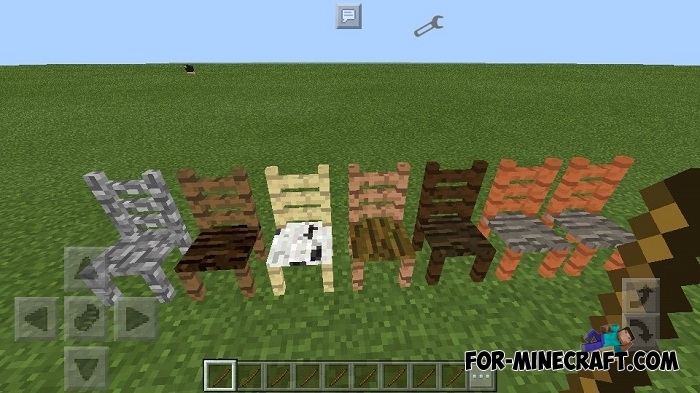 This version you can use only chairs to sit. 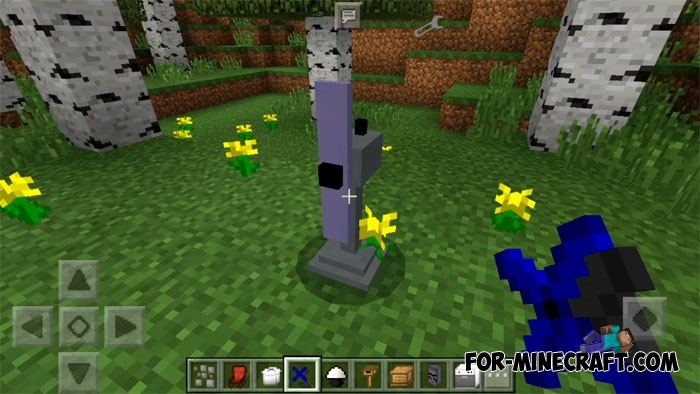 Electronics unfortunately does not yet work, but it is possible that the creator of the mod will add more functions. 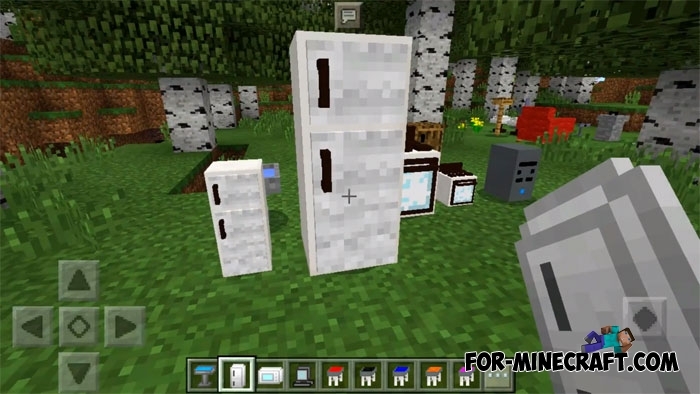 How to install the Furniture mod? 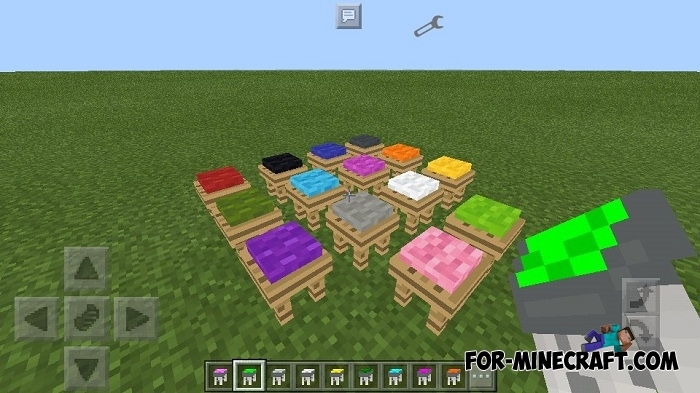 Download this mod and BlockLauncher here. 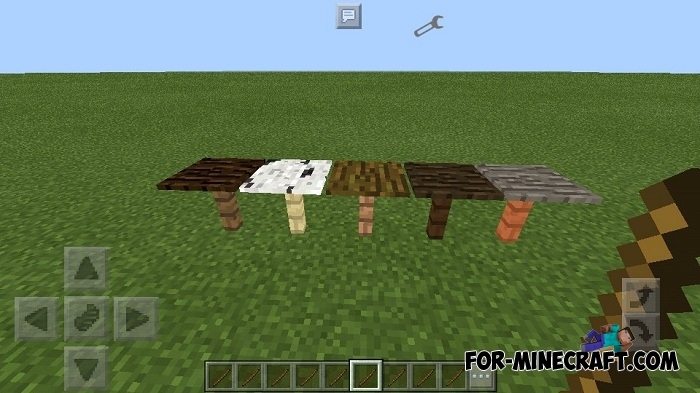 Run BL and select ModPE -> activate textures pack (Textura.zip) and then the mod file (Main.js).